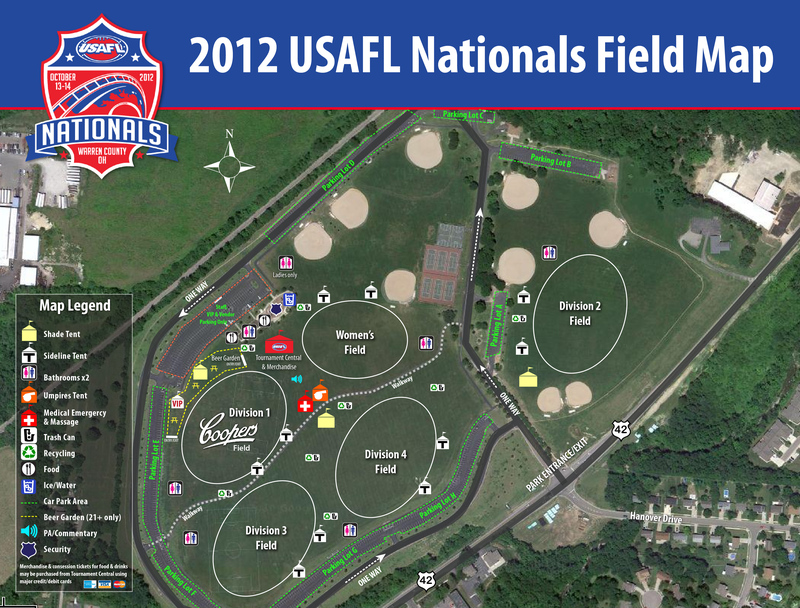 The USAFL Nationals will return to Mason, Ohio in 2012 following the very successful 2009 Mason Nationals. 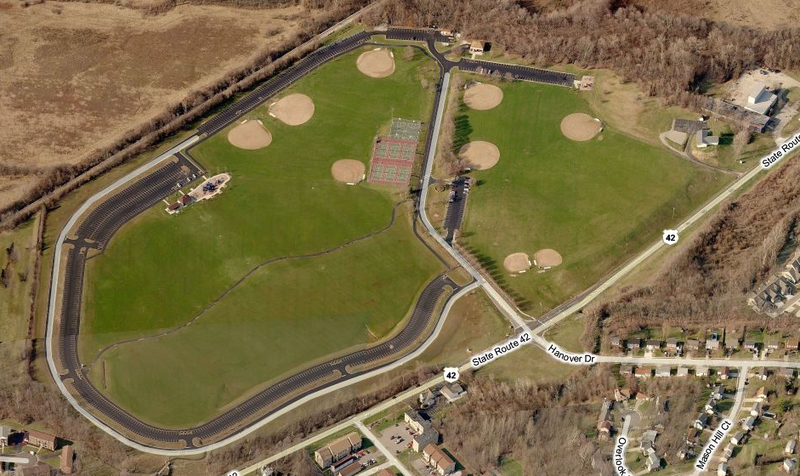 The Nationals will be held over the weekend of October 13-14. FREE entry and parking, Aussie food, candy, and official tournament merchandise for sale on site! Games will run from 9am to 6pm Saturday across five (5) fields, with round robin play being completed between 9am and 1pm Sunday. Divisional (4 mens and 1 womens') finals commence at 2:30 pm Sunday, with the men's Division One Final kicking off at 4:30pm on the main field, Coopers Field. 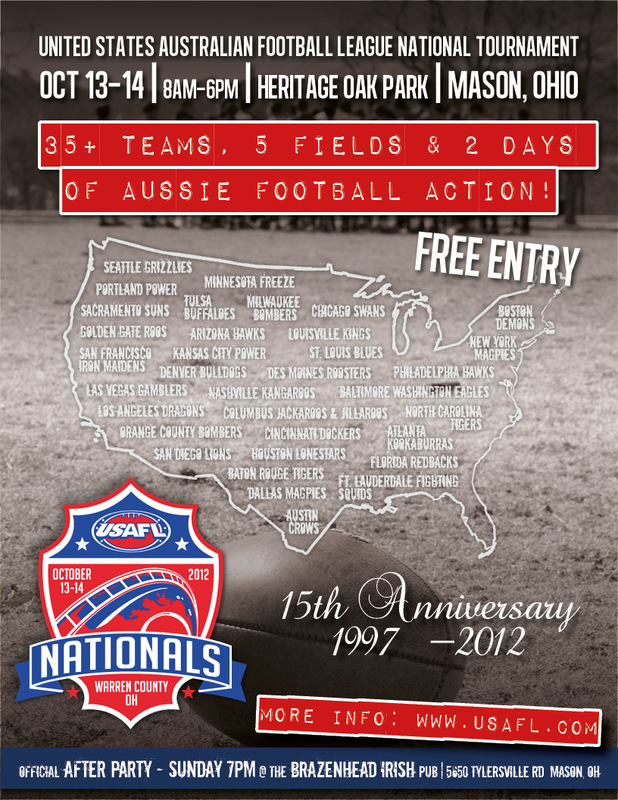 "Warren County, Ohio and the City of Mason are thrilled to once again host the celebration of Australian Culture that is the USAFL Nationals," said Ben Huffman, Sports Director for the Warren County Convention & Visitors Bureau, "hosting the event in 2009, the community saw not only an economic benefit, but a social one as well. The residents of Mason truly enjoyed the wonderful event and are looking forward to having these great athletes back in our community in 2012!" he concluded. Every year the United States Australian Football League (USAFL) runs a 2 day tournament at different location each year. Teams from around the USA compete in four men's divisions and one women's division throughout the weekend with the Grand Final matches being played Sunday afternoon, determining the National Champions for that year.